Since 1990, P3 has had the pleasure and opportunity to work with a large variety of companies, both big and small. We have had the honor to work with everyone from an entrepreneur with a dream, to past Presidents of the USA. Over these decades of service, we have developed a proprietary brand development and inbound marketing system that we call the PowerCORE. At the heart of the PowerCORE is your Brand Development. Now, many people think “brand” is for the “big guys” like Coke, Nike, Apple, etc. Nothing could be further from the truth! At the “core” everyone wants to be confident when making ANY type of purchase, big or small. Developing a Brand Image & Message is just as important for small companies as it is for large corporations. Projecting an image that gives your customers a sense of security and confidence that they are making the right choice for who gets their hard-earn dollars can be the difference from your success or the success of your competition. Taking the time to develop a proper brand strategy, also ensure that you are spending your marketing resources in the right areas, and that you have the right marketing in play that attracts your ideal target customers. P3 is able to ensure proper Brand Development, Marketing Collateral Design & Implementation by the effective use of the PowerCORE System. Whether you are an on-going marketing customer, or you need project-based support, each customer’s goals are achieved with the help of the PowerCORE Inbound Marketing System. The heart of the PowerCORE Inbound Marketing System is your Brand Message that defines who you are, your target market and what Brand Image is needed to compete in your market sector. Whether you’re a New Business or Establish Business, whether you’re launching a new product or service, or you want to get ahead of your competition, the Core is where everything starts. By starting at your core, you ensure that you capitalize on all opportunities and NO resources or time is wasted. One of the Most Powerful Tools of Leverage in your marketing arsenal is your Website. It can effectively deliver valuable information, content about your company, and conduct business on your behalf – 24 hours a day, 7 days a week, 365 days a year. As a powerful company beacon, our professionally built, responsive websites make you look better than your best competition. They are typically constructed on Content Management Systems and allow you to edit, make updates and blog about your product or services. All of our sites are geared for success and expansion, serving you for years to come. There is NO point in having a website online if you don’t make every attempt to capture the contact information of your site visitors. To capture your prospect’s information, you need to have a Powerful Call to Action that compels them to ask for more information, request a quote or make a purchase. Our lead capture systems range from simple contact forms to sophisticated Automatic Email Marketing Systems coupled with Customer Relationship Management Software designed to add up to 40% business to your bottom line and support you and your staff with prospect and customer follow-ups. 97% of consumers will search for a local business online. This component is designed to attract typically the largest percentage of your customer base, local customer who want or need to use a local business. If you’re not being found in the search engines, you’re missing out on a wealth-spring of business. 1st Place position gets 42% of clicks, 4th gets 6%. The difference in ranking will drastically determine the amount of New Leads & Customers you receive. If you’re not on the first page for some of your important search terms, you’re most likely not be found at all, as people will sooner change their search term then navigate to the second page results. From Print to Digital to Multi-Media material, this area ensures you have effective marketing to powerfully communicate your products and services. This Power Module also aids your sales staff and for new customer acquisition in the absence of an in-person representative. If you’re not marketing your business, you’re not being found! This component consists of your repeat and recurring marketing efforts like social media, public relations, advertising, and new marketing. 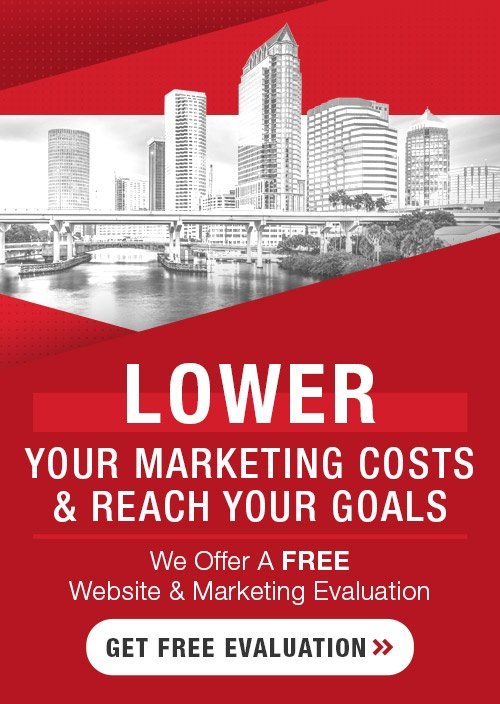 P3 offers a FREE Consultation and estimate for turning your company’s marketing collateral into Lead Generating Machines. Call 800.515.9422 today or fill out our convenient quote form to see what’s possible for your business.